The future of work and how we do business is changing thanks to automation. By 2030, an estimated 75 million to 375 million workers (3 to 14% of the global workforce) will need to switch occupational categories. Hell, we don’t even need to wait until 2030 to see drastic changes to the modern workforce. A recent study by McKinsey and Company found that about 50% of current work activities is already replaceable through automation technology currently available. For those millions of people around the world whose jobs are threatened by automation, this statistic is a source of great unease. Look no further than the “Ballad of John Henry,” the man who raced the steam drill in a competition between man and machine, to see how deeply rooted this collective anxiety is in American culture. Meet Bruno. A lanky robot with an extendable arm, Bruno, along with his fellow robot pals, works for Zume Pizza, headquartered in Mountain View, California. Bruno is responsible for inserting and removing assembled pizzas a high-powered oven, capable of cooking a pizza in one minute flat. The entire back room at Zume headquarters is capable of churning out 370 pizzas in one hour with little human assistance. For comparison, Brian Edler, a Domino’s Pizza employee, holds the world record for most pizzas made in one hour. His record is 206. SoftBank, a Japanese multinational holding conglomerate, is expected to invest $750 million in Zume’s automation technology. 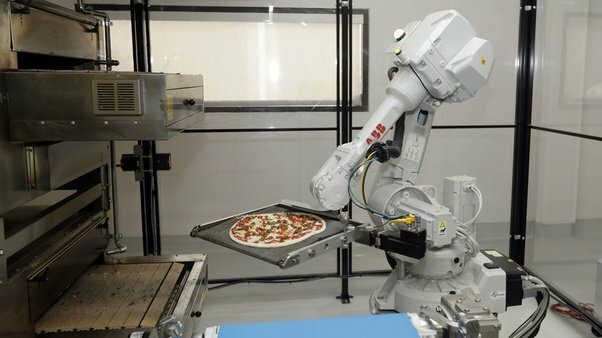 And pizza-making robots are just the tip of the iceberg. Technologies like self-driving cars, chatbots, and self-service kiosks all threaten to replace traditional jobs in the customer service sector. Automation has the potential to create as many jobs as it displaces. A 2017 Gartner analysis reports that, while A.I. will have eliminated an estimated 1.8 million jobs by 2020, the technology will also lead to the creation of 2.3 million new jobs. Generating $2.9 trillion in business value and recovering 6.2 billion, this shift may just be the answer to widespread wage stagnation and job dissatisfaction. “John Henry hammered in the mountain. He laid down his hammer and he died, Lord, Lord. John Henry had won against the machine but at the cost of his own life. This is the story of many jobs across America: back-breaking work that grinds down our citizens and leaves them feeling broken. Repetitive activities like machine operation and data processing are two tasks that are especially vulnerable in the coming shift toward automation. However, researchers anticipate that, rather than facing unemployment, many workers in these industries will be able to pivot and adopt new tasks that deal with managing people, solving problems, or applying expertise. Obviously, workers will also be needed to develop and deploy new technologies, so we'll likely see a dramatic rise in this field as automation also rises. This should be welcome news since these jobs will be seen as highly valuable and, therefore, quite lucrative. As a result, we’ll, hopefully, see increased wages and demand for consumer goods and recreational pursuits. That opens up new employment opportunities in more creative environments. There are so many different factors that influence whether or not a business will go the automation route–including location, company ethics, consumer preference, and so much more. No one can tell you whether or not your specific job will be affected. 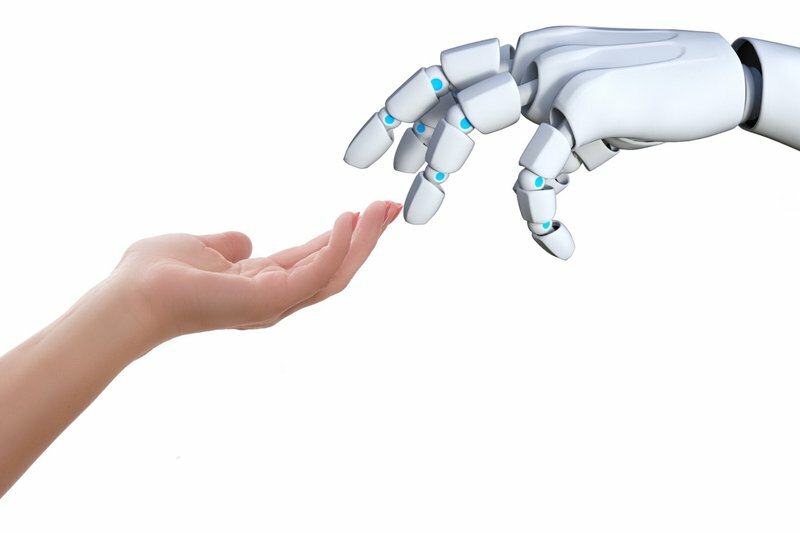 There will always be jobs that require the human touch, although it may take a large-scale retraining effort to prepare our workforce for the coming shift toward automation. In the meantime, at least we know that the robots will come bearing pizza. Mike Speer is a digital marketing executive at Michael’s Wilder. He shares his experiences with entrepreneurship, creative marketing, business, and balancing a hectic work schedule with his life as a devoted husband and father. Wanna stay up-to-date on the latest from mikespeer.com? Sign up for the newsletter. Hey Buddy!, I found this information for you: "Automation Nation". Here is the website link: https://mikespeer.com/automation-nation/. Thank you.